Use the 'Today We Have...' link on the navigation bar at left to check on availability and pricing. Mulberry Lane Farm's brown and white eggs are fresh, organic, and tasty. One of our most popular items---eggs so fresh they "stand up in the pan"! Available all year round, and are especially plentiful in the winter. 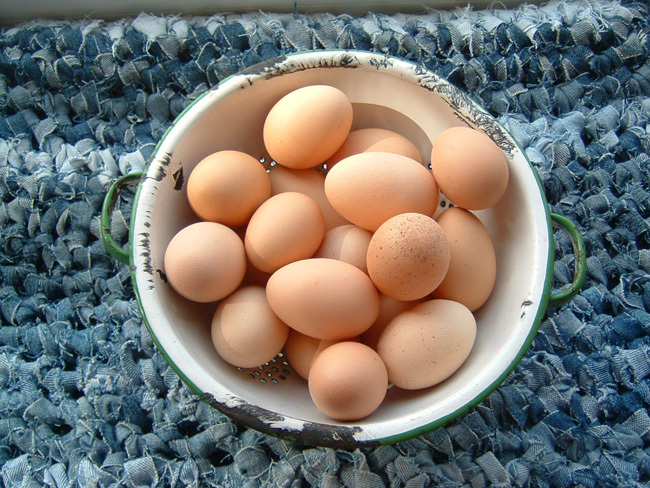 The eggs are collected daily have our free range chickens. ---the lovely dark yolks add a great natural color to breads and other baked goods.